Review: "Doro: Classic Diamonds" - Sea of Tranquility - The Web Destination for Progressive Music! This latest release from the German queen of hard rock, Doro, is a recording with the Classic Night Orchestra, bringing together Doro classics done up in a fashionable acoustic metal meets classical format. The singer teams up with Accept vocalist Udo Dirkschneider for a cover of the Judas Priest classic "Breakin the Law" , a rousing rendition that sees the orchestra providing a sweeping backdrop to the two singers powerful vocals. "All We Are" and "I Rule the Ruins", two of Doro's most beloved songs, receive a fun treatment here with acoustic guitars and the orchestra, as does "Burn It Up" a song that sees new life in this style as opposed to the normal hard rock format that it normally is presented in. Doro's vocals as always are powerful and full of vigor throughout this set-she's lost nothing over the years, as evident by her husky, emotion filled delivery on "Always Live to Win", or her lush, passionate filled anguish on "Undying", which sounds just lovely here. Ultimately though, after a few listens the tempo and pace of the songs tend to sound too similar to each other, and I would have liked to hear more extended passages from the orchestra. But overall this set is such a good vehicle for Doro to show off a more tender side of her that you don't always hear. She's a real treat to the hard rock world, and Classic Diamonds just might open up a new audience to her music. 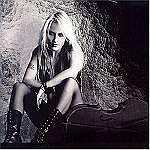 Doro Pesch is one of the most recognized Metal Maidens in the genre's history. She packed a hell of a punch fronting Warlock and then her own solo efforts but for some reason she decided to join the crop of talented performers who mixed their music with classical performers and release a live album. As a casual fan of some of her material, especially the Warlock years, I had doubts on how effective this release would be and very simply her material does not work with classical accompaniment. My favorite song of all time with her is "All We Are" and I still remember the video, but this rendition sounded more like something Nickelback would do on a bad day. "I Rule The Ruins" has its moments but nothing like the impact of the original. I then started to wonder if I was an old stick in the mud when my jaw dropped as she began an acoustic and softly spoken "Breaking The Law" (yes the Judas Priest one). I'm sorry Ms. Pesch but that is the song that spawned a million air guitars, and I should not be thinking of walking pastoral fields during it. Luckily the orchestra kicks in to some effect but then she starts screaming instead of singing and is joined by Udo Dirkschneider (Accept) who sounds just terrible singing this track. Don't get me wrong as there are Accept songs that I love and that fit Udo just fine but Priest? I'm sorry man this is not your thing. Doro is a talented woman who has put forth several solid Metal efforts but I think this should have been thought of a little more before being executed. Not every performer works well with an orchestra and for this to be done the best, the classical side needs to expand on your original work of music. More times than not the classical elements become background music to a Hard Rock band that is also present. Too much like the Metallica effort which I also felt was sub-par. There is a good booklet inside with photos and lyrics to her songs but besides that there is little I enjoyed about this album.